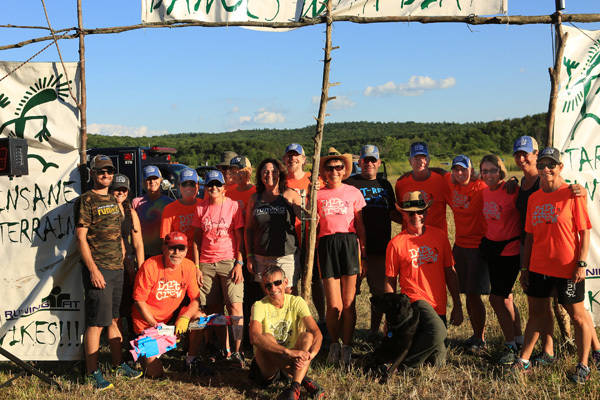 RF Events - 2018-10-24 - Gobble, gobble, go! 2018-10-24 - Gobble, gobble, go! For most of us, after October all the serious running is behind us until sometime in March. We stay consistent and get out the door but don't follow a hard schedule. Time to lick the wounds and let the body rest up! The fun holiday and winter races will help keep us in the game and give us a reason to get in the daily run so they will be... FUN races! That said, more people will lace up their shoes on Thanksgiving day than any other day of the year! The Turkey Trot rules the event world, one of running's greatest traditions. If you have not started this tradition with your friends and family, it's time to be the catalyst and get it started! A turkey Trot finish will earn you an extra helping at the table and a spot on the couch! 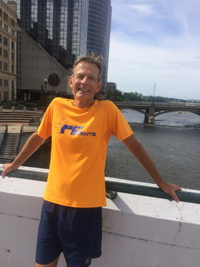 Randy Step, an admitted obsessed runner who invites you to join me and 4,000 of my closest friends at the Downtown Ann Arbor Turkey Trot 5K and 1K on Thanksgiving morning! PS: HO, HO, GO! Speaking of holiday fun... Naughty or nice, walker or runner, come breathe in the December night air, burn a few holiday calories and give back to others! The Holiday Hustle on December 8, 2018 is a festive dash around Dexter that will get you in the holiday spirit. Knit beanies to all entrants and medals to all finishers. REGISTER NOW!